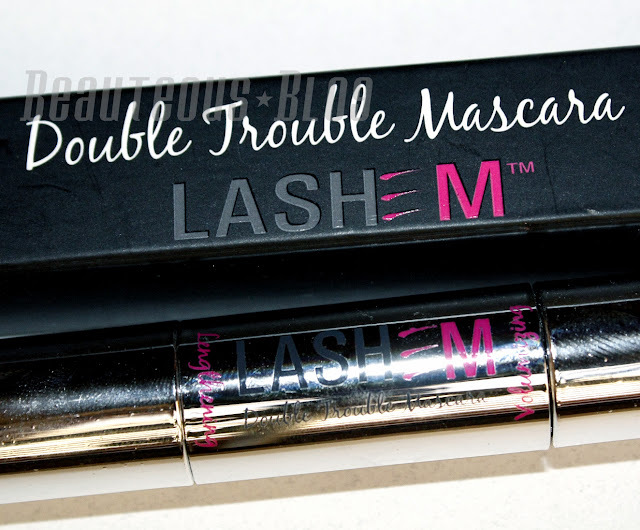 The mascara comes in a silver metallic 2 in 1 double ended tube. The wands are very different from one another, the volumizing wand is really flexible while the lengthening wand is more stiff. Both of the formulas are really weightless but I find that the lengthening formula is a little bit more wet compared to the volumizing. I really like the wand as well as the formula for the lengthening part of the mascara, it is a bit more wet and builds up really easily. Best of all it does not clump and dries in a few minutes. I am not a fan of flexible wands, they are a bit flimsy and its hard to really get into the root of your lashes with such wands. 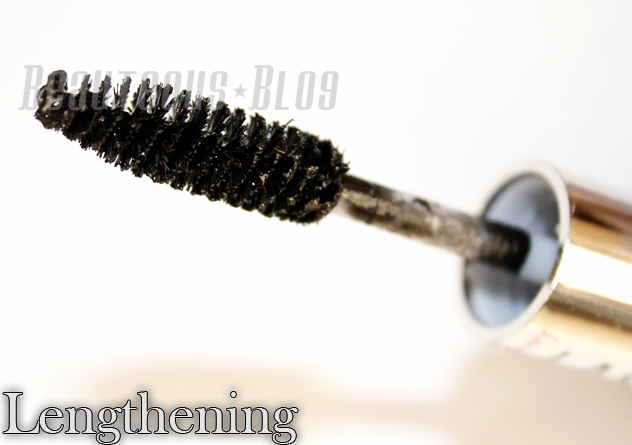 The volumizing formula is dry, initually it felt like I wasn't applying anything in my lashes. I don't notice a big difference in my lashes with the volumizing formula. My lashes are really stubborn and stick straight down, they are hard to curl and with most formula's my curl ends up falling when I do apply mascara. So for this mascara I had to curl my lashes because without doing so you won't be able to tell how the formula worked for me. After curling my lashes I applied 2 coats of Volumizing followed by 3 coats of Lengthening. I have never tried a 2 in 1 mascara before, with using this mascara I don't notice a huge difference between this and regular one step mascara's. Everyone loves having fuller lashes and I always expect a mascara to curl my lashes along with giving volume and length. When I did apply the mascara without curling them they didn't look different at all. I find that the lengthening formula works great but the volumizing formula doesn't give me much volume even after apply few layers. I do like how how my lashes feel even hours after wearing the mascara, they don't get sticky or bother my eyes. 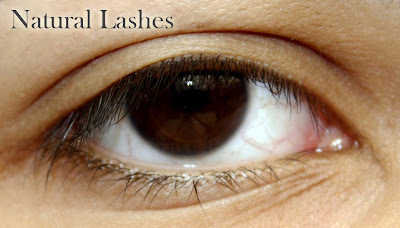 @Sara My lashes are really thin, this would work great for my mom since her lashes don't get weighed down with mascara. Really nice packaging. Not sure I would buy this, but it looks really interesting! Nice ! I would love to try them. Follow each other blog .